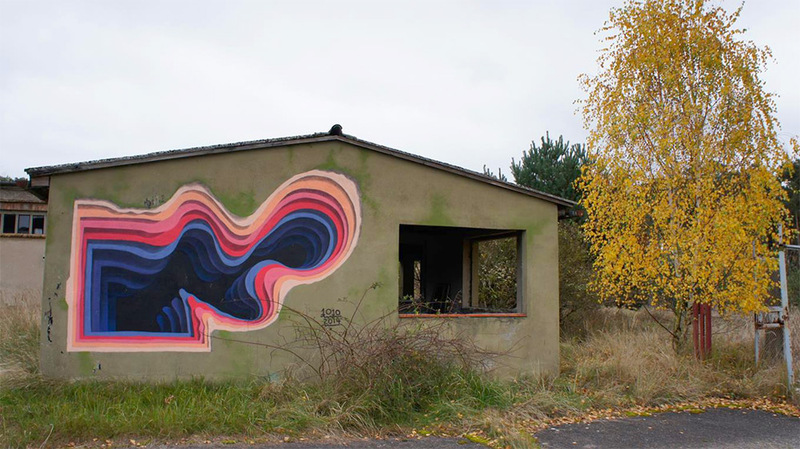 Today we want to show you some great wall murals created by German street artist 1010. 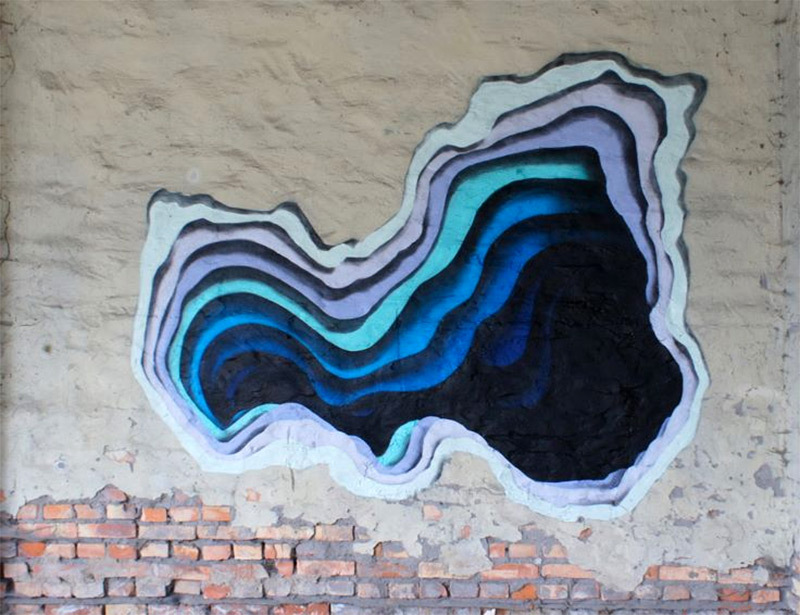 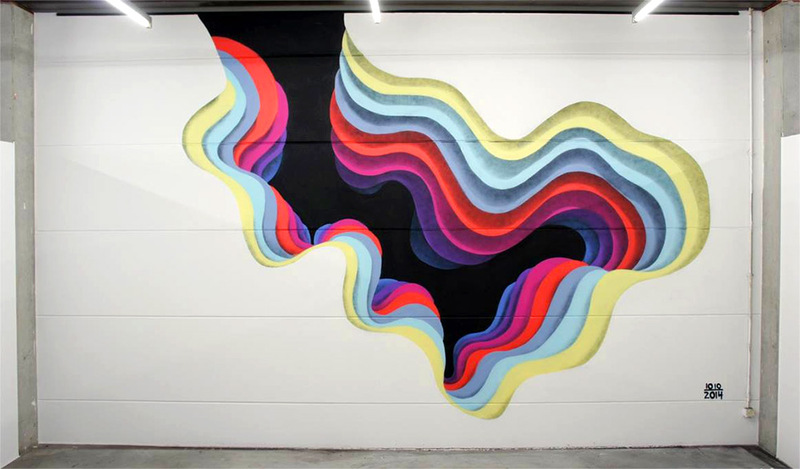 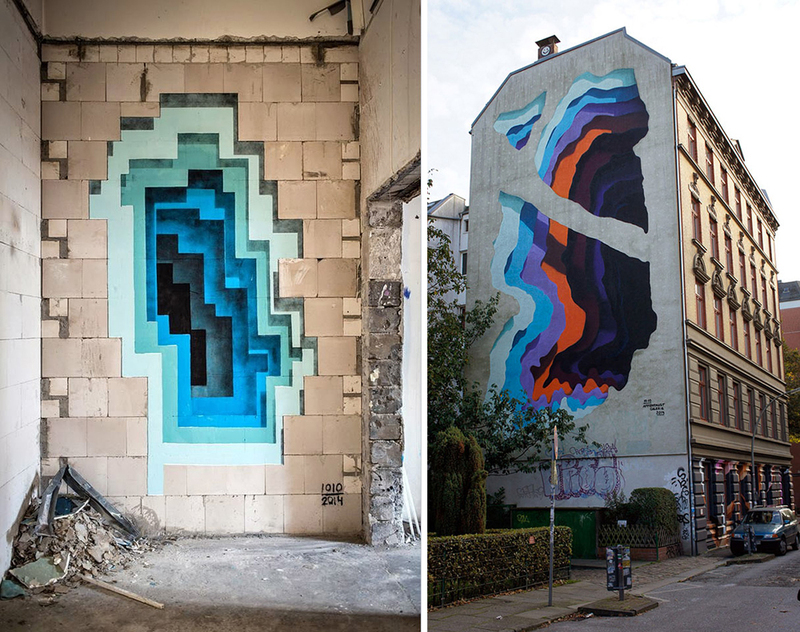 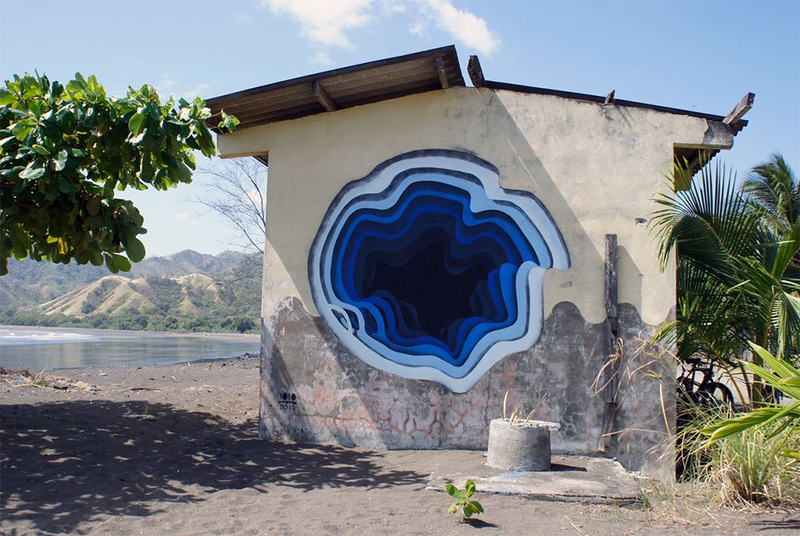 He created several of his fantastic spray paint portals in locations around Germany, Panama, and the United States. 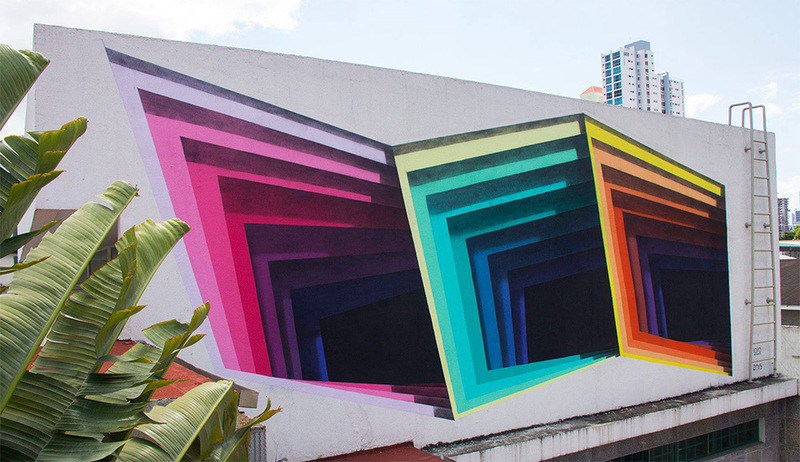 1010 brings surprising layers of depth to drab facades and blank gallery walls by painting concentric layers of color. 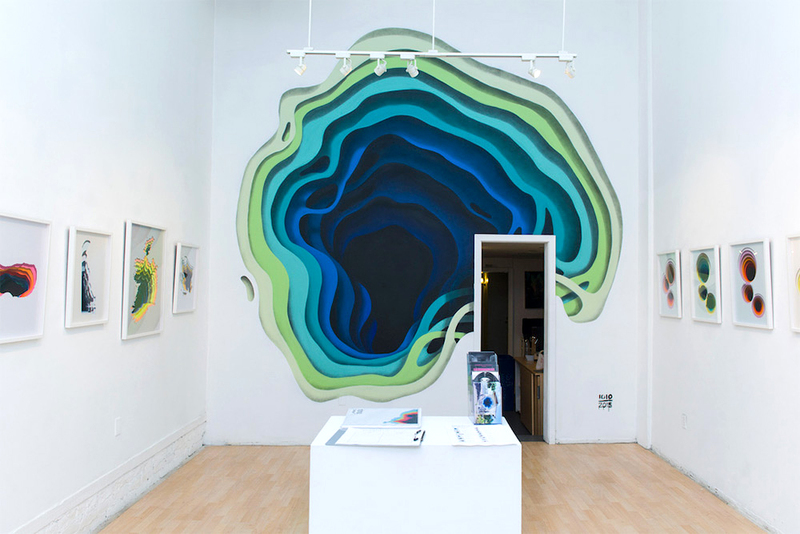 The artist most recently had a solo show at 1010Hashimoto Contemporary in San Francisco titled “Limbus”.